Defend your airship from the merciless air pirates with the help of your rocket. 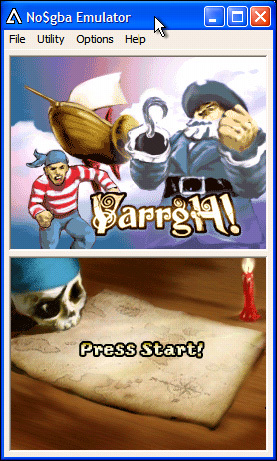 Game is designed for Nintendo DS - playable on PC via included emulator. 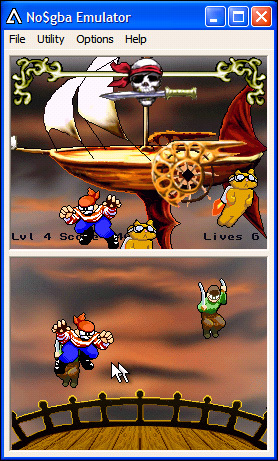 Touch the pirates raining down from their ship (top screen) to stop them from boarding your ship below (bottom screen). Use the stylus / mouse to interact with the bottom screen. Beat all 6 levels to be victorious! Lightweight Install. Simply unzip and run "YarrgH.bat". This will automatically start the Nintendo DS emulator NO$GBA. If you know how, the download can be transferred and played on your Nintendo DS. Really. Homebrew ROOLZ. Nintendo DS?!!! Isn't that freaking awesome! 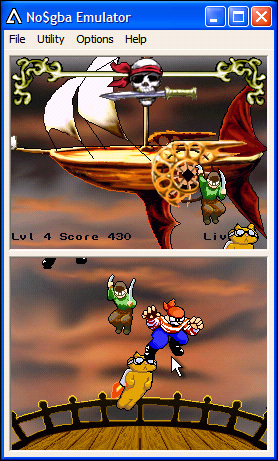 The graphics are incredibly detailed, the game is fun to play (even emulated), and the cats are finally on YOUR side. Well worth your time.